True laser skin resurfacing treatments replace damaged, crepey, and wrinkled skin with brand new, younger, smoother skin. Skinspirations provides several choices for state-of-the-art laser resurfacing treatments, each with its own advantages, and our experience in providing over 1,100 laser resurfacing treatments can assure you that you're in good hands. Full surface laser resurfacing treatments vaporize off the entire surface of the area being treated and can produce dramatic results with one treatment. Fractional ablative laser resurfacing, like that done with Skinspirations' Profractional laser treatment, replaces a percentage of the treated skin with brand new skin. Two Profractional treatments can usually produce results as dramatic as with full surface resurfacing but with less discomfort, downtime, and risk. Profractional is an excellent treatment option for people who want improvement in crinkly, crepey skin, multiple fine lines, and scars. Profractional resurfacing can be safely performed on any color skin and on area of the body, unlike full laser resurfacing, which is limited to the face. Laser Peels and Micro Laser Peels vaporize off more superficial layers of skin compared to full surface resurfacing or Profractional and are useful for removing rough, dull skin and/or superficial bumps and benign pigmented lesions. With aggressive treatments like laser resurfacing, it's obviously important to have them done by a practitioner with extensive medical and laser resurfacing experience. Dr. Cynthia Elliott has not only been performing laser skin resurfacing treatments since 2008, she also has over 15 years experience in trauma medicine and is a certified laser trainer who has taught other practitioners in both the Caribbean as well as the U.S.. She has personally trained all of the laser providers at Skinspirations so you can trust that you're in good hands. 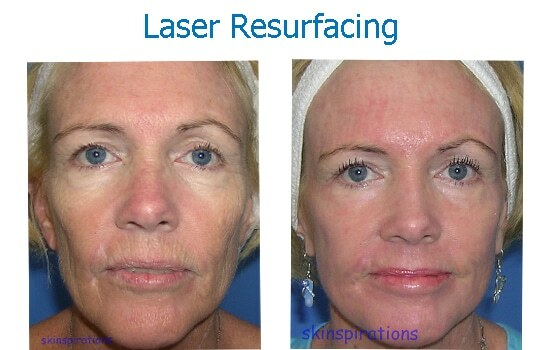 Skinspirations' multiple laser resurfacing treatment options (described in more detail by following the links below), can improve wrinkles, "crinkles" (like fine "smoker's lines"), crepiness, sun damage, rough texture, some types of scars, and can remove raised brown spots & benign skin growths. 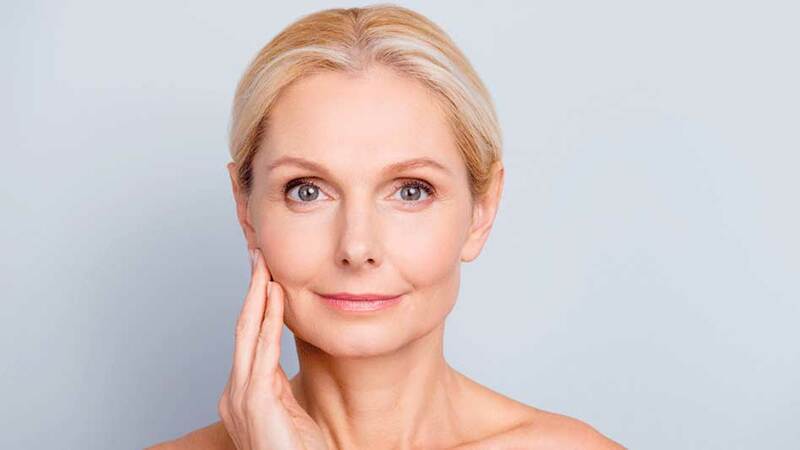 If you would like to learn more about whether a laser resurfacing treatment is the right choice for your appearance goals, schedule a complimentary consultation at Skinspirations by registering online here or by calling 727-571-1923. Fractionated ablative lasers like the Sciton Profractional at Skinspirations have revolutionized the treatment of fine lines, wrinkles, poor texture, stretch marks and scars. It's finally possible to look 5-10 years younger after just 2 treatments and with only 4-5 days of social down time. Laser Resurfacing can be done over the entire face or only to those areas where fine lines may be prominent, such as around the eyes or mouth. 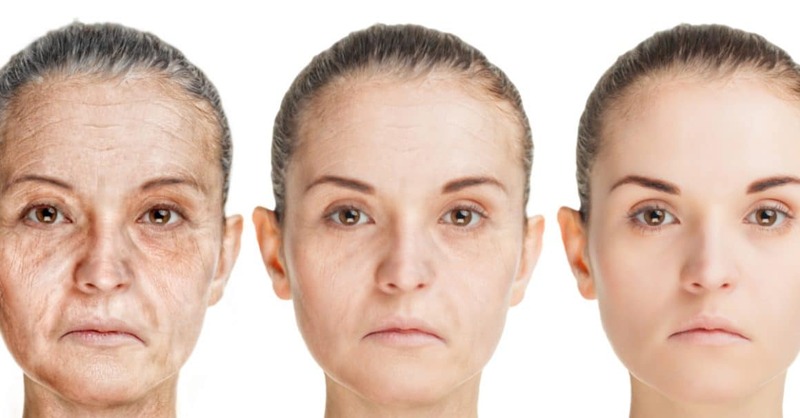 Since often one area of the face like the eyes can make people assume you're older, treating that single area can take 10 years off of your appearance in one hour. The Sciton Laser Peel vaporizes off more of the outer layers of skin than the MicroLaserPeel, but not as much as full layer deep resurfacing. It's ideal for replacing crepey thin skin such as around the eyes with smooth, new skin. A LaserMicroPeel vaporizes away the outer 20 - 50 microns of treated skin to improve texture, sun damage, pore size appearance and fine lines. Unlike deeper Laser Peels, they can be done on any part of the body and are an excellent choice for removing sun damaged skin from the neck and chest.